Are You Sure Your Videos Are Properly Optimized? Positive? Does Video Marketing Really Help Small Businesses Thrive? Before we start, a few words on choosing the best keywords for your YouTube video. Remember, you're trying to attract your ideal clients or customers, so every keyword should speak to them directly. Take this guy. 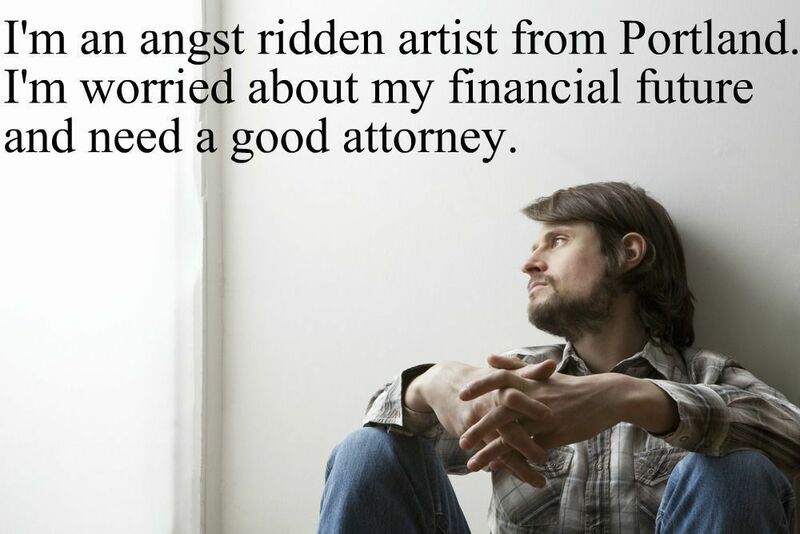 If you're an attorney in Portland who works with small businesses and prefers clients who are artists, he might be your ideal client, so craft your keywords with him in mind. Title. While the structure of your title may vary, it's important that you include only crucial information. Put your primary keyphrase in front, and include your business name, location, and reputation management keywords. Example: "Tips for Running a Successful Art Based Business | Jimmy Jones Small Business Attorney Portland, OR"
Description. This is a big one. Your meta description will be displayed with the video in both YouTube and in Google search results. To make the most of your meta description, do not stuff it with keywords, make the first sentence intriguing and powerful, include a link to a relevant landing page, and ensure that it's impeccably written. Tags. Tags are used to categorize your video and, when used right, can help it show up in the suggestion video bar. You will have about 500 characters with which to tag your video. Use highly relevant keywords, and be sure that they are specific enough to describe the subject of the video. Thumbnail images. YouTube will show you three thumbnail images. You'll need to choose the image that represents the theme of the video, where the presenter is shown in a positive light, no closed eyes or gaping mouth, and where your brand or compelling overlay text is showing. Annotations: Annotations are overlaid onto your video. They are a call to action to watch another of your videos. It's best to add annotations at the end of your video and, when possible, link to a video that builds upon the one prior. Annotations can help increase the average view of a single visitor. Location. Under the advanced settings, you'll be able to add the location of your video. This is important if you are targeting your local area. The best part about these YouTube video optimization tips is that they don't apply only to YouTube. Most of these elements should be added to every video you load to your website. Doing so will help search engines crawl your videos, giving them a better chance to rank well and be displayed with a rich snippet. If you'd like help ensuring that your videos are properly optimized, call 888-886-0939. Our video and SEO specialists would love to help your videos get the exposure they deserve.